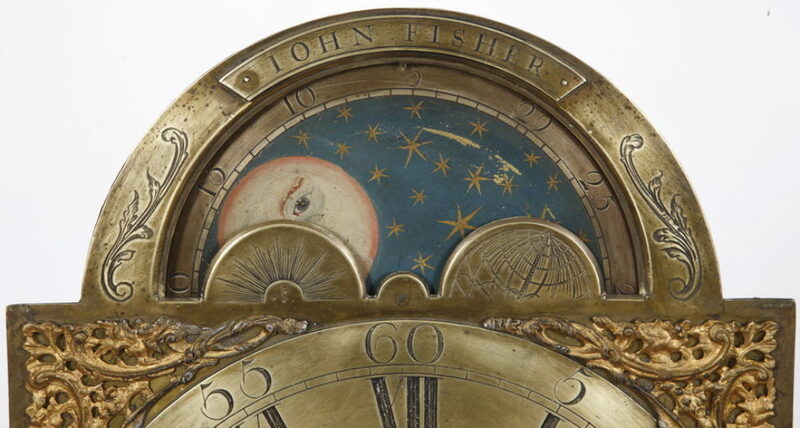 This is a very unusual clock. The case is mahogany and retains it’s original surface which is dry and consistent. The case is adorned with three finials. 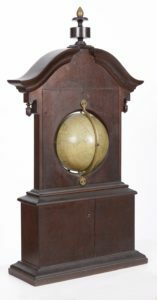 Two of which are in the shape of acorns and are located at the sides of the case and hang down from the upper moldings. 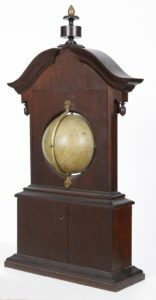 The third is a center finial which surmounts the case. 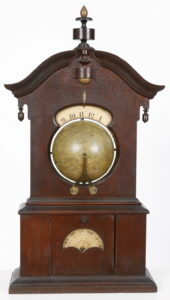 This clock stands only 27 inches tall. Interestingly, the top of this finial and the center drop which supports it, feature gilded surfaces that exhibit a wonderful patina. 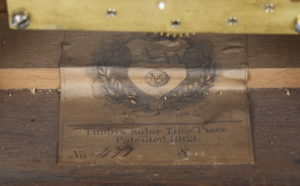 Inside the case, in the lower section, is the makers label. It is in excellent condition and numbered 471. The patent for which was received in 1863. The Globe features the Joslin Label. 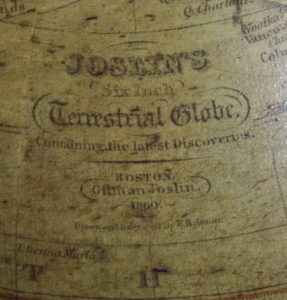 It reads, “Joslin’s Six Inch Terrestrial Globe, Containing The Latest Discoveries. Boston. 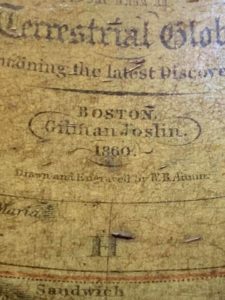 Gilman Joslin, 1860.” The condition of this globe is very good. It does have some minor areas of staining but, is readable. 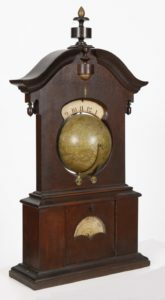 The globe rotates while the clock is running. 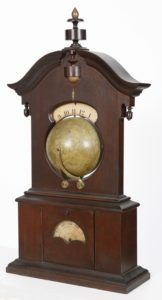 The hour dial, located above the globe is paper. It is in excellent original condition. 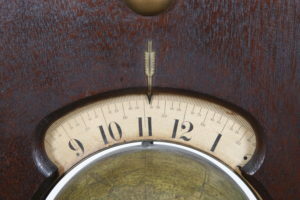 The original brass arrow indicator is perfect. 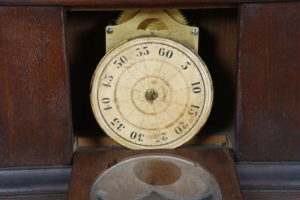 The lower dial or minute wheel is paper and is original to this clock. 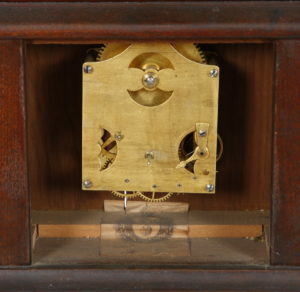 The movement for this clock is located in the bottom of the case. It is brass and designed to run eight days on a full wind. 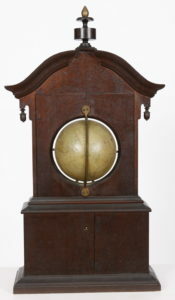 It features a lever escapement and is wound from the back. The dimensions of this case are as follows: 27 inches tall, 13.75 wide at the lower base molding and 5.25 inches deep.